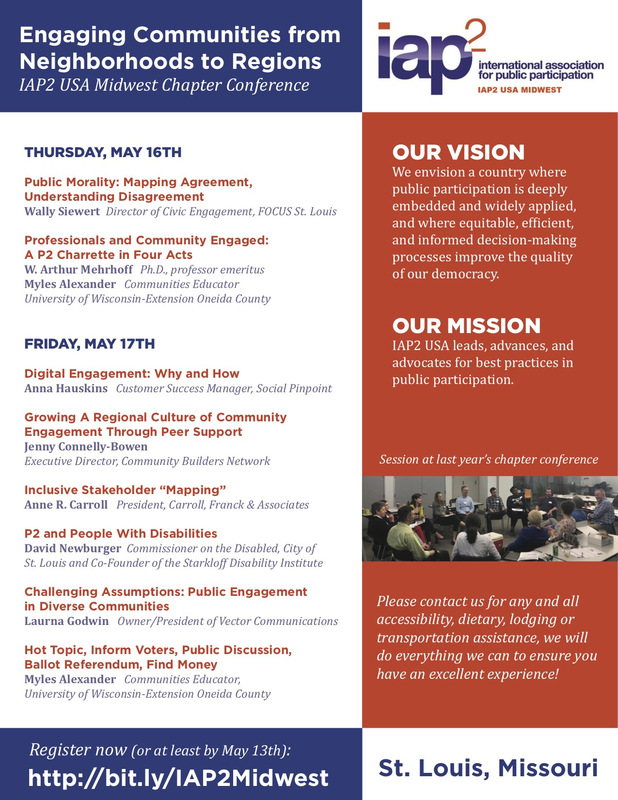 Hello IAP2 USA Midwest Chapter members,Our annual spring conference is coming up next month, and the list of sessions is now available! 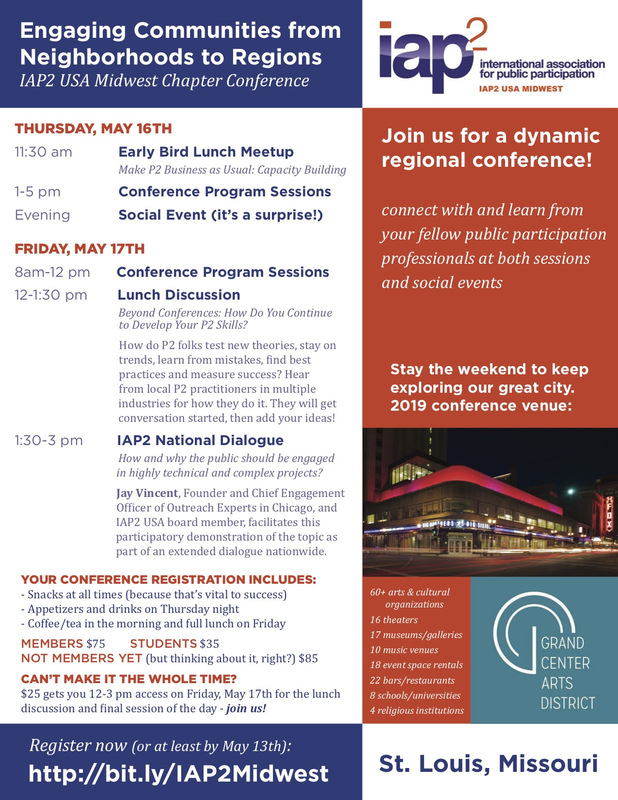 Learn more below, and please plan to join us in St. Louis for this dynamic regional conference, where you can connect with and learn from fellow public participation professionals. The affordable conference fee provides access to informative sessions, networking and social events, food, drinks, and more over two great days! Questions about travel or hotel accommodations? Contact Heather Lasher Todd, Heather@StratCommRx.com. The conference will be held in the Grand Center Arts District in St. Louis, MO. Please help make this important event for our chapter a success by spreading the word to your networks, and sharing this flyer and registration link on social media! 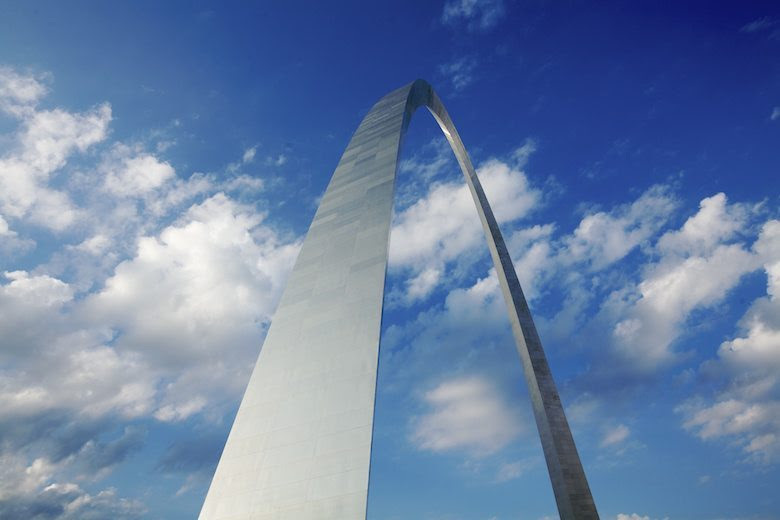 Meet us in St. Louis May 16 – 17 – Register Now!